Changes to the Diagnostic and Statistical Manual of Mental Disorders, the main diagnostic tool used by mental health professionals in the United States, from the DSM-IV to the DSM-5 place impulse control disorders in a chapter entitled “Disruptive, Impulse Control, and Conduct Disorders.” The changes also moved disorders like compulsive gambling, sexual addiction, and other addictive disorders, as well as trichotillomania (skin picking), out of the impulse disorder category, Psychiatry Advisor reports. The new chapter in the DSM-5 includes various disorders, such as kleptomania, pyromania, intermittent explosive disorder, conduct disorder, antisocial personality, and oppositional defiant disorder. All of these disorders may interfere with a person’s ability to function in daily life as they all include issues with controlling impulses and harmful behavior towards others. 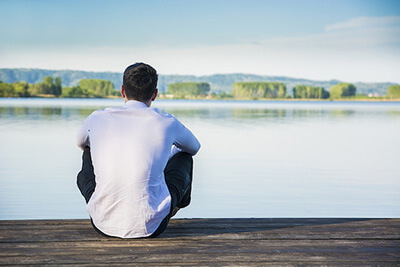 Males may be slightly more prone to impulse control disorders than females, according to Psych Central, and these disorders may commonly co-occur with other mental health disorders or with issues involving substance abuse. Impulse control disorders may be regularly overlooked or misdiagnosed, meaning that many individuals suffering from these disorders may not always get the help they need. A better understanding of the disorder can help close the treatment gap and get individuals proper care for improving symptoms. Treatment for impulse control disorders may be largely therapeutic in nature, with behavioral therapies frequently implemented and medications also potentially beneficial. Impulse control disorders are usually diagnosed in late adolescence to early adulthood and may be considered behavioral addictions as the loss of control, cravings, and release and rush produced by performing certain behaviors are some of the indicators of addiction, Psychiatry Advisor states. Some of the different types of impulse control disorders are highlighted below. Intermittent explosive disorder: This disorder is recognizable by persistent temper tantrums, or explosive episodes, that are out of proportion to the situation at hand. Violence, aggression, rage, verbal outbursts, threats, and physical harm to people or things may accompany an episode. These tirades may only last about a half-hour and come about suddenly, with no warning, Mayo Clinic reports. Irritability, anger, and impulsivity are additional symptoms of intermittent explosive disorder, or IED. A person likely feels energetic and has racing thoughts, a tingling in the extremities, heart palpitations, chest pain, and tremors when experiencing an outburst, and may be fatigued and relieved immediately thereafter, potentially experience remorse or regret down the line. Months may pass between major episodes, although more minor outbursts may occur in between larger ones. These outbursts may result in legal or financial issues, disrupt a person’s interpersonal relationships, cause significant distress, and potentially result in problems at work or school. According to Harvard Health around 5-7 percent of Americans will suffer from IED at some point in their lifetime. Kleptomania: Impulsive and unnecessary stealing of things that are not needed characterize kleptomania. Individuals may steal things and hoard them, give them away, or even return them to the store they stole them from. The disorder is not about the things stolen, but instead about the compulsion to steal and lack of self-control over this compulsion. The journal Frontiers in Psychiatry estimates that between 3.8 and 24 percent of people who shoplift may suffer from kleptomania. Individuals may feel intense guilt or shame after the initial relief that stealing may bring wears off. Legal troubles are common for individuals battling kleptomania. Pyromania: An individual who repeatedly and deliberately sets fires may suffer from pyromania. An attraction or obsession with fire and fire-setting paraphernalia, along with a compulsive need to set fires, and relief and pleasure after doing so characterize this disorder. Individuals do not set fires for any other reason other than their compulsion or “need” to do so in order to dispel their mounting tension. Pyromania is considered relatively rare, and the lifetime prevalence of people in the United States who intentionally set fires is reported to be around 1 percent of the population, as published by the journal Comprehensive Psychiatry. There is not a single accepted cause for the onset of an impulse control disorder, as professionals tend to agree that a combination of biological, environmental, psychological, and even cultural or societal factors may play a role, Psych Central publishes. The limbic system is the part of the brain responsible for some memory functions and emotions, and the frontal lobe is involved in willpower and decision-making abilities. Both of these areas may be affected in someone who suffers from an impulse control disorder. Similarly, hormones related to aggression, like testosterone, may be elevated in someone battling an impulse control disorder. Chronic stress, childhood trauma or neglect, and other mitigating environmental factors may also influence the disorder’s onset. Some medical disorders such as seizures, other things that may cause trauma to the brain, or an imbalance in some of the brain’s natural chemistry that may be produced by an underlying mental health disorder or substance abuse may increase the odds that a person will suffer from an impulse control disorder as well. About 8 percent of people in the United States aged 12 and older battled a substance use disorder in 2014, the National Survey on Drug Use and Health (NSDUH) reported, and the Substance Use and Mental Health Services Administration (SAMHSA) estimates that close to 8 million American adults suffered from co-occurring substance abuse and mental health disorders in 2014. When a person abuses drugs or alcohol, the brain’s natural chemistry and circuitry are temporarily disrupted. If this action is perpetuated over and over again, the brain may actually be rewired, resulting in substance dependence, which can continue on to a loss of control over drug or alcohol use. Impulse control disorders and substance abuse are similar in nature. At one point, they were even considered to be in the same category, according to Psych Central. Both are indicated by difficulties with self-control regarding destructive behaviors with negative consequences, and similar regions of the brain may be involved in both. Substance abuse may be a form of self-medication for undiagnosed impulse control disorder, or substance abuse may even be a contributing factor to the onset of an impulse control disorder. Abusing mind-altering substances before the brain is fully developed, sometime in a person’s mid-20s, may damage the parts of the brain related to willpower, decision-making, memory, pleasure, and mood regulation, increasing the odds for issues with substance abuse or dependence later in life, the journal Clinical EEG and Neuroscience postulates. Abusing substances at a young age may then potentially increase the risk for developing an impulse control disorder as well. Regardless of which came first, the substance abuse or the impulse control disorder, the combination of the two can result in increased risk factors and side effects for both disorders. Substance abuse may increase episodes of hostility, violence, and aggression, for example, and a lack of self-control exhibited by someone battling an impulse control disorder may make the person more likely to abuse substances. An estimated 20-50 percent of individuals suffering from an impulse control disorder also have issues with substance abuse, Frontiers in Psychiatry publishes. Depression and anxiety disorders also often co-occur with impulse control disorders. The National Institute of Mental Health (NIMH) reports that as many as 82 percent of people suffering from intermittent explosive disorder had a co-occurring substance abuse, anxiety, or depressive disorder as well. Untreated, co-occurring disorders may lead to more serious health issues, relationship problems, physical injury or accidents, emotional issues, occupational issues, legal troubles, and many other negative consequences. Those suffering from an impulse control or substance use disorder may not be willing to seek treatment on their own. Oftentimes, a loved one or family member may be able to help the person recognize the need for and the potential benefits of a specialized treatment program. The NSDUH reports that in 2013, almost 96 percent of people who needed specialty treatment for a drug or alcohol use or dependency problem did not believe that treatment was necessary. Fewer than 20 percent of individuals battling intermittent explosive disorder, according to survey results published by Harvard Health, actually received specific treatment for their rage episodes. Getting someone into treatment may be accomplished through an intervention. An intervention is a structured meeting between all people in someone’s social circle who may be impacted by the substance abuse and/or untreated impulse control disorder. The main goal is to help the person seek out and enter into a treatment program. Since impulse control disorders may often be characterized by aggression, violence, and bouts of rage, it is helpful to have the input and guidance of a professional interventionist who is trained to plan and carry out an intervention for the safety of everyone involved. Family members, loved ones, coworkers, and other important people in an individual’s life may wish to be involved. Typically, the intervention is planned in advance. Loved ones may write down specific instances where the person’s negative behaviors have impacted them personally to share during the meeting. The intervention is meant to be nonconfrontational. Participants should stick to “I” statements, talking about how certain situations made them feel and not point fingers. An interventionist can structure an intervention, so it goes smoothly and stays focused on the main goal – getting the person into treatment. The Association of Intervention Specialists (AIS) is a member organization that can help loved ones find a registered interventionist nearby. Substance abuse, medical, and mental health providers may have interventionist resources as well. No two treatment plans are identical. In the case of co-occurring disorders, the primary care provider, mental health practitioners, and substance abuse treatment professionals all collaborate together to design an integrated treatment plan, after a detailed assessment that will take both disorders, medical and mental health histories, and treatment goals into account. Treatment programs may be either residential, where the person stays on site for a period of time, or outpatient. Outpatient programs can vary in their structure. Intensive outpatient programs are similar to residential programs in structure and schedule during the day, with the main difference being that the person returns home each night. More flexible outpatient programs can be structured to fit into a person’s existing schedule and life obligations. The intensity and duration of symptoms, and potential severity of a person’s dependence on a psychoactive substance, dictate what type of treatment model would be best. Impulse control disorders and drug or alcohol addiction may be treated with a variety of methods within a treatment program. Cognitive Behavioral Therapy (CBT) is a widely used form of therapy that helps individuals to learn how to modify potentially detrimental thought patterns into more positive ones, which can in turn change, for the better, the way a person acts. Studies using neuroimaging of brains have shown CBT to improve some of the parts of the nervous system that influence the fear response and negative emotions, the Journal of Neuropsychiatry and Clinical Neurosciences publishes. CBT may work on the regions of the brain that may be impacted by an impulse control disorder and/or addiction, teaching individuals suffering from these disorders new coping mechanisms and techniques for controlling impulses and managing potential triggers as they occur. Mindfulness techniques and other holistic methods, such as yoga or meditation, can also be beneficial in helping people learn how to improve willpower and control emotions when faced with stressors. These complementary therapies are often included in comprehensive treatment programs. Medications may be helpful in treating impulse control disorders, although there are no drugs specifically approved for the treatment of these disorders. Selective serotonin reuptake inhibitors (SSRIs) are antidepressant medications that have shown some promise in treating impulse control disorders. For example, Frontiers in Psychiatry reported improvement in aggression and irritability in studied individuals battling intermittent explosive disorder who took Prozac (fluoxetine). Other SSRIs may be helpful in treating kleptomania and pyromania as well. The Psychiatry Advisor publishes that the agonist drug naltrexone, which is often used in the treatment of opioid dependence to help maintain long-term abstinence and prevent relapse, may be useful in treating kleptomania and pyromania as well as addiction. Other medications like glutamatergic agents and mood stabilizers are also being researched for their usefulness in treating these disorders. Drug and alcohol abuse and addiction may complicate impulse control disorder treatment and the pharmacological management of these disorders, as drugs and medications may interact with each other or lead to unintended consequences. Some medications are not recommended for individuals with a history of substance abuse as they may be habit-forming or have a potential for abuse. It is imperative then that individuals undergo a thorough drug screening upon entrance into a treatment program, so providers are able to provide the highest and safest level of care possible. Individuals who are dependent on psychoactive substances may benefit from a medical detox program prior to treatment. Impulse control disorders are characterized by a lack of self-control that goes beyond just an inability to control harmful impulses. A person suffering from one of these disorders may feel increasing tension and a compulsion to act on destructive or explosive impulses, and feel a sense of pleasure and release in doing so. Destruction of property, violent outbursts, and rage are common symptoms of an impulse control disorder. Children and adolescents lack a fully formed prefrontal cortex and other regions of the brain that are involved in decision-making and willpower; however, an impulse control disorder is much more detrimental socially, emotionally, physically, and occupationally than a run-of-the-mill temper tantrum. There are several other mental health disorders (bipolar disorder, attention deficit hyperactivity disorder or ADHD, for example) that also include impulse control issues as potential symptoms; however, unlike with impulse control disorders, a lack of self-control is not the main feature. Anxiety, depression, and substance abuse commonly co-occur with impulse control disorders, which formally include kleptomania, pyromania, and intermittent explosive disorder. Impulse control disorders are closely tied to conduct and disruptive disorders, and considered in the same chapter in the newest DSM, the DSM-5. Impulse control disorders are commonly referred to as behavioral addictions, as the compulsive actions and inability to control them are very similar to symptoms of drug or alcohol addiction. The specific cause of an impulse control disorder is not fully understood; however, it is generally agreed that biological and environmental factors are involved. Substance abuse can increase the side effects of an impulse control disorder and potentially even contribute to its onset, especially if these substances are abused prior to the full formation of the brain in early adulthood. Stress and childhood trauma may also contribute to the development of an impulse control disorder. An individual may abuse drugs or alcohol as a way to try and cope with symptoms of impulse control disorder; however, aggression, irritability, violent outbursts, and other side effects may actually be magnified by the introduction of drugs or alcohol. Drug dependence and addiction may be potential side effects of abusing substances while suffering from an impulse control disorder. Co-occurring substance abuse and impulse control disorders are treated in an integrated fashion with behavioral therapy and counseling sessions, and also potentially with pharmacological tools. New life skills, such as anger and stress management techniques, are taught during group and individual sessions. Individuals can then use these skills in their daily lives to manage difficult emotions and control destructive impulses. Recovery from these disorders is promoted with a complete treatment program that addresses all of a person’s emotional, social, physical, and behavioral needs.